Turning to food for emotional reasons can lead to all kinds of health problems. Find out how to get a handle on it. 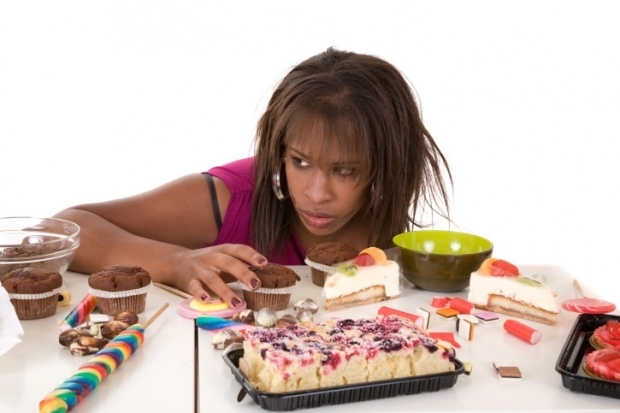 It’s not uncommon for people to tune to food when they’re stressed, sad, bored or even happy. “For some people, emotional eating is a minor issue,” says a psychologist. However, it becomes problematic if it gets to the point where you’re always eating for emotional reasons and you then experience guilt or shame or your health is negatively impacted (e.g., you’re overweight, suffering from diabetes or simply not eating enough nutritious foods). It’s also a problem if it’s preventing you from truly examining – and addressing – real issue in your life (think: an unhappy relationship or dissatisfaction with your job). The good news is that you can get a handle on emotional eating. “Once I started keeping a food diary and becoming more aware of my cravings, I saw a definite pattern of reaching for certain foods based on my emotions – so I went to see a naturopathic doctor who helped me to start developing healthier eating habits,” says Grant, who is now several pounds lighter and slimmer around the waist. But controlling emotional eating should never just be about losing weight. “It’s about putting food back where it belongs”. “It’s about developing the awareness and the energy to deal with the underlying problems that are masked by your ‘problem’ with food.” When you do that, you’ll gain control – not just over food, but also your health and your life. Here are four simple steps to help you do just that. 1. Examine Your Triggers : Each time you sit down to a meal or reach for a snack, ask yourself if you’re really hungry. If your tummy’s rumbling or you feel light-headed, it’s probably physical hunger. But if you’ve eaten recently and it’s more about soothing-yourself, it’s probably emotional hunger. “Anxiety, depression, boredom and anger may all contribute to overeating”. Many mood changes can also be traced to personal interactions, so look for the source in your exchanges – whether someone said something that was upsetting or you became overwhelmed by work or family demands. 2. Take Notes : Keeping track of the reasons you’re eating makes you aware of your patterns and gives you an opportunity to make better choices. One way to do this is with a chart: Get out a pad or notebook and draw four columns labeled “time of day,” “location people,” “food/amount” and “emotion/thought.” Each time you eat something that seems tied to your emotions instead of physical hunger, make a note of it. For instance, you might write: “2 p.m/ at my desk/ six Oreo cookies/nervous about big presentation.” At the end of the week, read over your record and look for patterns. What were the events, people, places, or situation that led you to eat? – 1. Fatty, salty foods help me de-stress. – 2. Eating something soothes my anger. – 3. A great dinner enhances my happiness. – 4. Snacking helps me pass the time. – 5. I turn to sweets when feeling sad. – 6. I eat more when life feels out of controls. 7-14: You are probably not an emotional eater. 15-25: You are an occasional emotional eater. 26-35: Emotional eating may be compromising your quality of life. Be more mindful. A 2011 Journal of Obesity study found that emotional eaters who were trained in mindfulness – including meditation and mindful yoga stretches – experienced lower levels of the stress hormone cortisol, improved eating patterns and consequently, reduction in abdominal fat. “When you’re mindful, you can calm your emotions through compassionate inner self-talk, meditation and breathing exercises”. Distract Yourself. “Doing anything that keeps you occupied, entertained and away from the kitchen is helpful”. Exercising – whether it’s taking a walk or practicing yoga – is especially good since it helps to improve your mood and distracts you from an eating episode. Connect With Others. Social support can make you feel comforted and help you cope with all kinds of stresses – not to mention motivate you to make healthy choices. That was certainly the case for Grant: “I found that I exercised more consistently if I was accountable to someone, so I hired a really positive personal trainer and took swimming lessons with a friend,” she says. Go Easy On Yourself. The more you yell at yourself, the more you’ll want to eat. “Don’t say you’re disgusting or call yourself names”. Instead, focus on the facts – how you felt, what you ate – and let it end there. Avoid Knee-Jerk Dieting. Don’t decide that you’re going to never eat another fattening bite for as long as you live. The point is to deal with emotion, not the calories. “Deprivation will only lead to yet another binge”. Reflect Later. A few hours after the emotional eating episode has passed spend some time thinking about what you were feeling and what you could have done differently. “In this way, each binge become a positive lesson about yourself and what propels you to overeat”.